The tee shot should be aimed up the left hand side of a left to right sloping fairway. 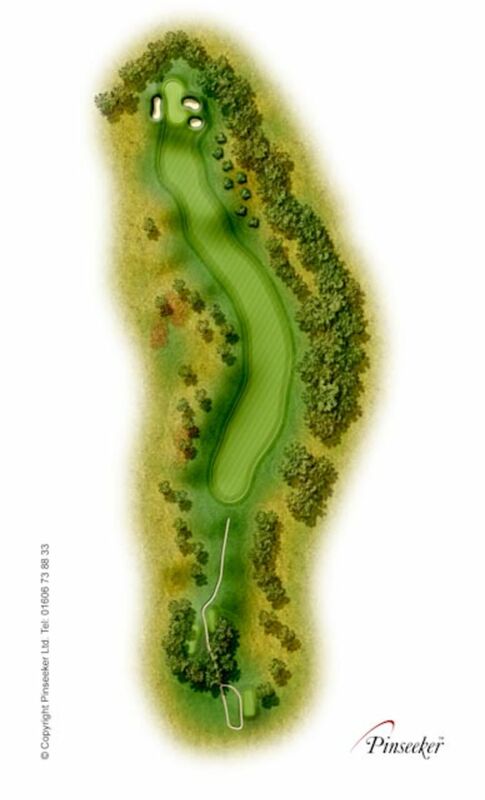 The hole is a dog-leg right to left with a blind second shot over the corner of the hill. The leaves a short pitch to a green that slopes front to back with bunkers guarding the right and left sides.